Pansea is one of the best beaches in Phuket, with clean white sand, crystal clear water and is the perfect beach destination if your searching for a romantic getaway. Coral reefs are just a stone’s throw from the beach and the magnificent rock formations on either ends of the beach add to the picture postcard effect. Unfortunately the beachfront at Pansea is only accessible through the grounds of two exclusive luxury five star beach resorts that share this stunning beach. 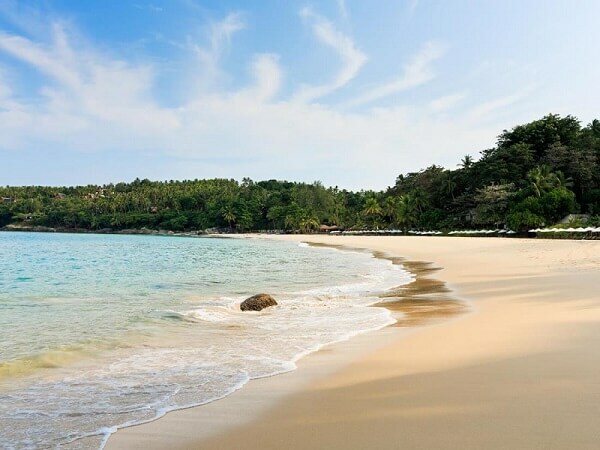 The well known Amanpuri Resort and the Surin Phuket Hotel formally known as the Chedi Resort have divided the beach among themselves. Which, makes it is nearly impossible for ordinary tourists like us to reach the beach without passing through the resorts. Rich and famous international celebrities choose to stay at these upmarket hotels and resorts, where they are able to enjoy the privacy that this secluded beachfront at Pansea provides. 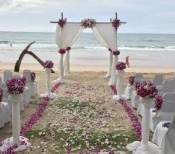 By Thai law all beaches in Thailand are public property. 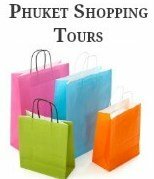 So if you are not a guest at either the Surin Phuket Hotel or Amanpuri Resort, you could always try to get a longtail boat to drop you off at Pansea from the nearby Surin or Bang Tao Beach. Amanpuri Resort Phuket is by no means a new resort, it opened in Phuket in 1988. Accommodation at Amanpuri Phuket, consists of 40 Thai-style Pavilions and 30 private Villa Homes set within a coconut plantation which are connected by walkways. All the Pavilions feature an outdoor sala with a sun deck and dining terrace, a king-size bed, oversized bathrooms and spacious dressing areas. The Villa Homes, consists of two to six separate bedrooms all finished with Thai furnishings, art and antiques. The Villas enjoy private pools plus living and dining salas. Personal housekeepers and cooks are also on hand. 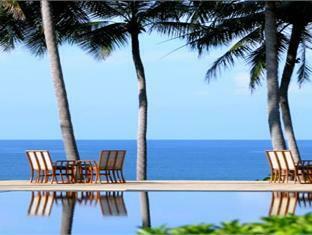 Amanpuri villas are ideal for small business gatherings, weddings and other special events. Wireless broadband connections are available throughout the resort. 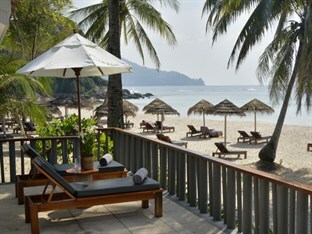 The beach is lined with sunbeds and umbrellas where guests of the Amanpuri Resort can enjoy complimentary windsurfing, snorkelling, sea kayaking and body boarding, as well as Hobie cat and laser sailing. The best snorkelling is on the coral reef that is located between the swimming platform and the headland in front of the villas. Complimentary golf clubs are available at the resort for guests to use if they wish to play golf at one of the golf courses on the Island. To check prices and to read reviews have a look on TripAdvisor. The Surin Phuket Hotel offers luxury thatched cottages that are also set amongst coconut groves or near the beach, with beautiful views of Pansea Beach. The Surin Hotel is very hilly and not suitable for young children or those with walking difficulties. The spacious 89 one-bedroom and 19 two-bedroom cottages have private verandas, secluded sun decks, and handcrafted teak floors. There are plenty of water-sports to be enjoyed on this beautiful beach. Unfortunately, you pretty much have to be a guest at either of the two resorts to enjoy these beach activities. If you would like to indulge and enjoy the privacy and fantastic facilities that either of these two luxurious five star resorts provide you will be blessed with unlimited access to one of the best beaches in Phuket. From Patong follow route 4233 which is called Thaweewong Road, north through Kamala. This road then turns into route 4025. Turn left at Ao Bang Thao / Hat Surin 8 then a quick turn right at Hat Surin 8 / Ta Ko. Take the first left turn which will bring you to the Surin Phuket Hotel, keep following this road and you will find the Amanpuri Resort.